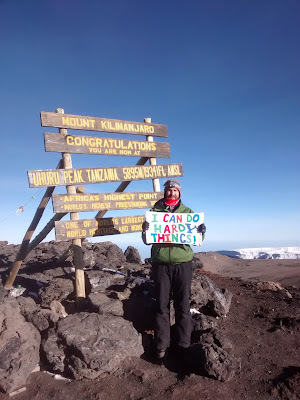 Band of Savers: My Kilimanjaro Climb! This post has been a long time coming but I really wanted to give a cost breakdown, complete with suggestions, on my trip to climb Mt. Kilimanjaro back in March. This trip was a bit of a splurge for me and did end up costing more than I had hoped that it would but, as a family, we decided that I might not ever have a better chance to do it so we might as well capitalize on the opportunity. Please keep in mind that I was a tag-a-long to a group that my wife’s uncle put together so I didn’t have any flexibility in dates or guides but was along for the ride and responsible for the costs that they signed us up for. So I don’t have comparison rates since I did no research in that regard. Also, for a point of reference, I am a 28 year old male in average physical condition. I might be naturally lean but I sit at a desk job all day and do relatively little physical activities. During our research my wife found out that men between the ages of 25-30 in good physical condition are actually the most likely group to fail because they are overconfident and try to go too fast. I hope that you find this material helpful. And I’m willing to answer any additional questions that you might have. Clothing – I had to get a lot of technical clothing because I didn’t have much to start with. Gear – Thankfully I already had most of the needed gear from previous adventures. I had been hoping to keep it under $3,000, and would have, but the passport renewal was an unexpected expense that tipped it over my original budget. But still worth it! We did an 8 day climb starting the beginning of March. I was coming from a very low altitude (<1,000 ft.) so the extra time on the mountain was a blessing since it allowed for more time to acclimate. But keep in mind that the longer you are on the mountain, the more it will cost – I had to keep reminding myself that it was better to pay the extra amount for the extra days and increase my chances of summiting than come all this way and not make it to the top because we tried to do it too fast. While the mountain can be climbed year round, March is when the tourist season is starting to wind down. So most of the trip we were all alone and didn’t having to share the trail or campsites with other groups. But it is also the beginning of the rainy season and our path took us around the north side of the mountain which gets more rain than the south side, so we were walking in heavy rains for two if the days. I hate getting wet and was a little worried about not having brought enough equipment if some of my gear wasn’t useable due to being wet. And no matter how waterproof our gear claimed to be, all of us got drenched those two days. At one point our small rocky trail turned into a little river that we had to hike up, so our waterproof shoes didn’t stand a chance. But remember, it’s all a part of the experience and made the trip that much more memorable. Preparation – I could have done much more but I still made it. I’m not going to claim that I’m in great physical condition but I’m also not in poor condition either. I started preparing for this hike 4 months before. I trained by trying to run, hike and walk as much as I could. I hadn’t trained for anything in 10 years so it was a bit of an awakening when I started getting into running again. I started with trying to do just a mile on a treadmill on full incline a few times a week. I eventually got to running a 3 mile loop 2-3 times a week pending the weather. The most I ever did was a 13.1 mile run on flat ground but had to sit out for two weeks after that cause my body wasn’t ready for it. When there was snow on the ground I would take 1-2 hour walks in the woods with a 35-40 pound pack on. 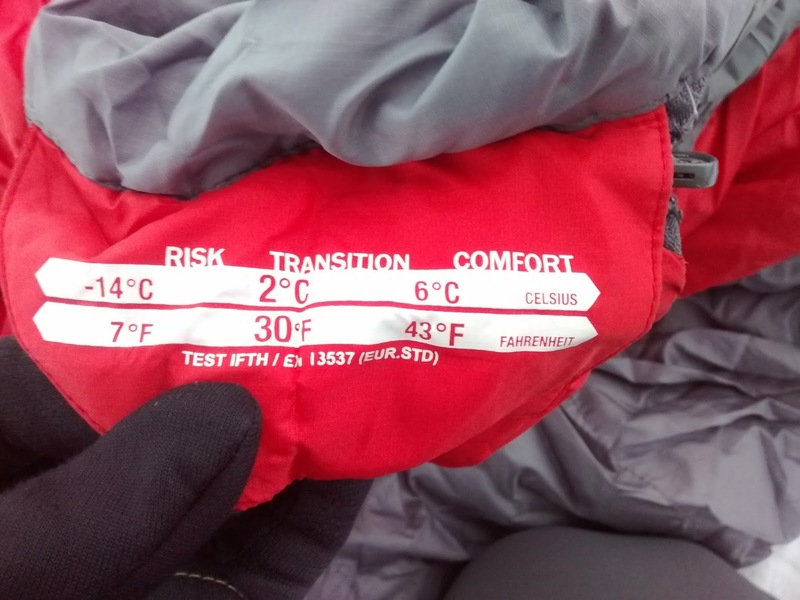 This helped me get use to wearing a pack and how it was going to wear into my skin, and it helped me feel confident in my gear keeping me warm and dry. I currently live at about 600 ft. above sea level so I was really worried about how my body would respond at high altitude with less oxygen. I looked into getting an altitude training mask but the reviews kept me from doing it. Instead I would tie a few layers worth of bandanas tightly around my face while exercising so that it was hard to breathe. This didn’t do anything about the amount of oxygen that I was getting with each breath but it did make my lungs have to work harder to get each breath. Plus it allowed me to breathe warmer air which helped to stave off the side cramps and sinus infections that I typically get when running in cold weather. After extensive research my uncle decided to book our hike with a company called Fair Travel Tanzania. They might not be the cheapest company to use but I if I was to ever go back to climb or do a safari in Tanzania I would definitely book with them again. The biggest difference between Fair Travel and all of the other companies is that Fair Travel is set up and ran to be more of a charity than a business. Their claim is that 100% of their profits go back to helping the local people. We paid $2,299 USD each for 5 adults and $1,599 each for 4 kids ages 10-14. This included all the costs associated with ground transfers, national park fees, accommodations (before, during, and after), meals, tents, sleeping pads, and staff salaries. Their porters have the best equipment, eat the best, and get paid the most of anyone else on the mountain. The average porter is paid only $5 USD per day and are expecting you to tip them, but even then, most of the tips are given to the guide who keeps 80% and only distributes 20% of the tip. Fair Travel pays their porters $18 USD per day and, if you feel like tipping, the entire tip goes to the company owners who distribute it evenly among everyone who was on the mountain. We were told that they set their prices by first figuring out how much it would cost a typical family to live each month. They then too that number and said that it is reasonable to expect a porter to make 2 trips up the mountain each month and determined how much a porter would need to make each month to be able to support his family with those two trips. That then because the minimum amount that they were willing to pay their porters. When we were talking to one of our head guides about why he only guides for Fair Travel he told us that with his reputation on the mountain he would be able to make the same amount guiding for anyone but he works exclusively for Fair Travel because when we was a freelance guide he saw how poorly the other companies treat their porters. He said that Fair Travel guarantees the porters 3 meals a day but, to his knowledge, all of the other companies only provide just two meals a day to the porters and some only feed them once a day. He also said that Fair Travel was one of the few companies that never asked him to offer any bribes or knowingly break any of the park rules in an attempt to increase the company’s profits. Travel – Travel Hacking Rocks! About the time we started planning this trip I was fortunate enough to learn about a little trick referred to as Travel Hacking. The basic concept is to sign up for credit cards that offer travel rewards just to get the introductory offer then close them down before the introductory free year expires. This is the only reason that I was able to go on this trip and you can read more about my experience with travel hacking and how I did it here. This saved me at least $1,156 in travel related expenses. In my research before the trip I came across several horror stories about luggage getting lost on the way there so I made sure to pack as much in my carry-on bags as I could, giving preference to the gear that was absolutely necessary and couldn’t be rented as easily. I also made sure to wear as much of my technical gear as I could to save packing space since I didn’t have much room to work with. So, I wore my hiking boots and coat system (fleece, soft shell, and waterproof outer jacket) even though I didn’t need them on the flights. I also made sure to take a picture of everything that went into my checked luggage in case I needed to remember what was in there to submit a claim against the airline. I left home fully expecting that my luggage was not going to make it there but was absolutely shocked when I saw it come off the plane in Tanzania. And to make things even better, everything made it home with me as well. Our group was actually very fortunate in that, out of 9 sets of luggage, nothing was lost in transit – but I’d still take the same precautions if I were to go again. Flights were the only travel that I had to arrange. One I landed in Tanzania my guided company took care of everything else. Transportation was provided to and from the airport as well as to and from the mountain. Food – Ate like Kings! I’m not a big person, 6 ft. tall 155 lbs. and pretty lean looking, but I have the appetite of a 17 year old lineman. My lovely wife has come to know how much I can eat and that I generally always feel hungry (sometimes I think I must still have worms from the two years I lived in Zimbabwe). So, for a few days before I left on the trip my awesome wife took it upon herself to load me up with as many nutrients as she could in case I needed to live off of reserves on the mountain. I wasn’t expecting much as far as food goes. On every other long backpacking trip I have been on food was a scarce commodity because of the weight and space it can take up. I knew that we would have porters carrying our food and cooking for us and that they would starve us out but I was not ready for the amount of feasting that took place. I can’t remember a time in my life that I have eaten so much food in one week – even on our 7 day honeymoon cruise. Every time I left the meal tent I felt stuffed – and it was good food too. On our first night on the mountain they brought is a large pot of cucumber soup and bread with peanut butter and jam. We all pounded that soup and bread thinking that was all we would get for diner. We were then surprised when they brought in a plate of cooked green vegetables and coleslaw type salad, which we again made sure to eat as much of as we could. But when they brought in a platter of potatoes and a platter of fish we were absolutely shocked. I ate a good sized helping of those as well since it tasted amazing. Just as I was finishing my plate one of the head guides came in and fixed himself a plate then proceeded to load up our plates as well and told us to keep eating. Every night they would come in and encourage us to eat more – usually serving our plates more food regardless of how much we had already eaten. While they did this to everyone it was apparent from that first night forward that I bore the brunt of it, and we could never figure out why. But by the last night of the trip we decided that it’s because I’m the only one who has a habit on eating everything on my plate so they must have always assumed that since my plate looked empty when they came in I must not have eaten much, not realizing that I had already eaten more than anyone else. Every meal that we ate on the mountain had at least 3 courses, even breakfast – usually porridge or oatmeal with bread, followed by a fruit tray, and finished with a plate of sausage (what Americans would call beef hot dogs) and eggs. You know that you’re being spoiled when, on days 4 and 5, they bring you fresh watermelon at diner. I took extra trail snacks but I think that all I ate was a fun sized snickers. If you’re not a picky eater there’s no need to carry your own food along. But we did have a 14 year old with us that was so picky that we basically had to force feed him and he might have starved if he hadn’t brought along over 100 granola bars and 3 boxes of oatmeal packets. We didn’t do one of the standard routes. On our document package, it says that our route is referred to as Kilimanjaro North Circuit 8 Day (the guides also used another name that I could never remember). According to our guides, this route isn’t very well known and you typically have to specifically request it – which makes it much less traveled if you want to avoid the crowds. All of our guides also said that it was one of their favorite routes because of the variety of views that it offers. But you do have a higher chance of rain when you are on the north side of the mountain, so you might get a little wetter. The basics of this route are: you start going up the west side of the mountain, skirt along the north side, summit on the east side, descend on the south side. - Day 1: We left the Stella Maris Hotel on a bus and drove up to the Lemosho gate (7,743 ft. elevation). We started climbing around 2:00 PM. This is a short climb through the jungles. We saw several monkeys on this part of the climb – pretty much the only wildlife you’ll see other than birds and lizards. We camped at the Mti Mkubwa camp (9,498 ft. elevation). Gained 1,755 ft.
- Day 2: Left Mti Mkubwa camp around 8:00 AM. You start the day in the jungle but finish the day surrounded by sagebrush and no trees in sight. We stopped for lunch at a campsite that we passed around noon and ate the very filling box lunches they had given us in the morning. Be prepared to go slow, slower than you think is possible at times. We ended up at Shira 1 camp (11,499 ft. elevation) in the late afternoon. Gained 2,001 ft.
- Day 3: Left Shira 1 camp heading for Moir Hut camp around 8:00 AM. We went very slow all morning because one of our 14 year old climbers had gotten diarrhea and our 12 year old climber was throwing up. The plan was to go up to Shira 2 camp then over to Moir Hut but it started raining on us around 10:00 or 11:00 so after box lunches where the trail splits the guides decided to take us on a shorter, more direct, cut-across. We got drenched and it was a good thing that we took the shorter path because. We got to Moir Hut camp (13,780 ft. elevation) late in the afternoon, tried to dry off then ate and slept. Gained 2,281 ft.
- Day 4: This is where we split off and started skirting the mountain. Over days 4 and 5 we actually went down in elevation each day but you still do a lot of up and down hiking as you work your way across the side of the mountain. We left Moir Hut around 7:00 AM to try to miss as much of the rain as we could since the rain usually doesn’t start till late in the morning. We made it till about 11:30 before it started raining on us this time. We ate our box lunches pressed against a solitary rock outcrop with dried buffalo chips all over around 2:00 PM because it was the only place we could find to shield us from the rain. We got to Buffalo camp (13,189 ft. elevation) late in the afternoon and the rain cleared up shortly after we arrived so we were able to explore a bit before diner. Lost 591 ft. of elevation. - Day 5: Left Moir Hut camp around 7:00 AM on our way to rest at 3rd Cave camp. It was a relatively short hike. The sun was out so we were able to tie our wet clothes to the outside of our packs and everything was dried out by the time we got to our next camp. We arrived at 3rdCave (12,697 ft. elevation) around 11:00 AM. We ate or first warm lunch in the meal tent then spent the rest of the day exploring the area – don’t expect to see much of a cave, it’s more of a little rock overhang. Our 10 year old learned that lizards bite. Then most of us took naps before dinner. Lost 492 ft. of elevation. - Day 6: Left 3rd Cave camp around 7:00 AM and made a good push to School Hut camp (15,584 ft. elevation), making sure to pause for pictures with the mummified buffalo perched on a rock. This time only 7 of the porters passed us before we made it to camp around 10:00 AM. We explored a little before lunch then were instructed to sleep as much as we could after eating lunch. We slept in the heat of the day sprawled on top of our sleeping bags from about 1:00 – 5:00 PM. We ate dinner around 5:15 then were sent back to bed from 6:00 – 10:00 PM. I had a really hard time sleeping this time since I had just had a 4 hour nap and felt it later. It was also pretty cold once the sun dropped behind the mountain. They woke us up a little after 10:00 PM, fed us cookies and hot drinks, filled up our water – I took 2.5 liters – and got everything ready for the summit attempt. Gained 2,887 ft.
My description of the same thing? “Holy crap that was hard.” We left School Hut with our 5 guides and 3 porters a few minutes before midnight. Up to this point I had felt pretty good with the altitude but as we headed up the seemingly endless switchbacks up the mountain I got hit with acute altitude sickness. It felt like I was about to vomit at any second and barely had the strength to put one foot in front of the other. All I wanted to do was sit down and rest. After fighting it from about 2:30 till 4:30 AM I finally swallowed my pride and handed off my pack to one of the porters. It probably only weighed less than 5 to 10 pounds at this point but restrictions of the straps made the illness worse. After another hour without my pack I finally dropped back from the main group and started going at my own pace with just the trusty porter Joseph at my side. I finally summited the crest of the rim at about 6:15 AM, about 5 to 10 minutes behind the main group. I had about 15 minutes here to sit and catch my breath while we waited for our 10 year old girl to catch up and rest. From here it was still another 2 mile trudge across the rim of the crater and up a few hundred more feet in elevation to get to the actual peak. After 2 hours of fighting to put one foot in front of the other and having to keep my focus on my inspirational flag hanging from Joseph’s back right in front of me I finally reached Uhuru Peak (19,341 ft. elevation) around 8:30 AM. I can’t remember doing anything more physically exhausting but I’m glad that I did it. 100% summited. Gained 3,757 ft.
- Day 7 - Part 2: After celebrating, taking pictures, and basking in the accomplishment we headed back down as quickly as we were able to. This is the first time where our group really got spread out. Every few hours we would pause just long enough to let everyone catch up but the goal was to get back down into oxygen rich air as fast as your body would allow. Because of my genetically inferior knees I was typically the last one to catch up but since the rest of my body wasn’t working as hard to go fast I didn’t need as much recovery time either – classic tortious and the hare example. We met up with the rest of the porters around noon at a camp where they had a hot lunch waiting for us. Instead of following us up to the peak they had slept in then skirted their way around the base of the peak and saved themselves several miles of carrying our gear. After lunch we finished the last few hour of the day and got to Mweka camp (10,066 ft. elevation) around 3:00 PM. We rested, ate an early diner and went to sleep around 7:00 PM. Lost 9,275 ft. of elevation. - Day 8: Some of our group had to be back to the hotel by 10:00 AM to leave for a safari so we all got up at 4:00 AM ate breakfast and headed off in the dark once again. This was just a short 3 hour descent through the jungle and we were at the Mweka Gate (5,380 ft. elevation). Here we signed out of the park and loaded up on the busses to go back to the Stella Maris hotel. Lost 4,868 ft. of elevation. Gear List – A list was provided but I’ve added my own notes on each item. § Definitely, I used a waterproof outer shell that I got at REI. In a downpour it eventually soaked through but so did every one else’s. § I did not take a specified ski coat for the summit night. Instead I got a waterproof outer shell, middle softshell and snug fleece that were all able to be worn together and provided for several different layering options. I was a bit worried but it all worked great. § Like noted above, I took one of each. I had a well-fitting zipped fleece made by Columbia and an Avalanche fleece-lined soft shell that was just bit enough to fit over my other fleece. · 1 tight fitting quick dry shirt to wear under everything else. · 1 quick dry outer layer long sleeve shirt. · 1 breathable water resistant button up shirt. This one. · 1 warmer button up shirt. § I took 2 pairs of these Water Resistant Pants and they worked great. But, here’s my confession, I actually ended up only wearing one of them on the mountain because they never looked dirty thanks to all of the rain, so I still had a clean pair to wear home afterwards. § I took a pair of ski pants that I only wore on top of everything else for the few hours of the summit climb. § I took 2 pairs of long thermal bottoms. I only wore them to sleep when it was cold and during the summit night. § I think that I took 5 sets but left one set in a bag at the hotel for after the hike. I thought that 4 sets of underwear was sufficient. § Not applicable to me and I wasn’t about to ask my aunt or cousin about it. § I did not take any, nor do I remember noticing anyone else in our group ever wearing shorts. § I just took an old baseball cap and a bandana that I would wear under the hat so that it draped down over my neck and ears. This was a more convenient way to travel since it could be easily crammed into my luggage and it worked like a charm on the mountain. § I only wore it on summit night but it was absolutely needed. § This is a must. § I did not want to buy a balaclava so I didn’t take one. No regrets. My wool hat has ears that I can tie down under my chin and I used a bandana to cover my face and it was just fine. And my 2 months’ worth of a beard helped as well. § For me, bandanas are a must have when hiking. I have found so many uses for them that I never go on any trip without a few at my disposal just in case. I took 3 and used them all. 1 was used instead of a sunhat, 1 was used instead of a balaclava and the third served as my camp towel. § I took my wife’s ski mittens since they are really nice ones and I have very small hands. § I took my thin jogging gloves to wear when my hands felt a little chilly but it wasn’t cold enough to need the ski gloves. § Didn’t bother, gloves have always worked just fine for me. § I had to get a new pair of shoes for this hike since I didn’t own anything waterproof that I could hike in. These were the cheapest option that I could find at the time and they worked just great. With enough water anything will let water in. So on the two days we ended up walking up small streams due to all the rain we all had soaking wet feet. I’m not sure why they say to bring extra laces but I didn’t take any and didn’t ever need them. § I did not take any due to lack of space. The only time that I wish I had taken an extra pair of shoes was for camp after walking in the rain for hours. If my boots had stayed dry I would have never wished I had camp shoes. § Yes. I took 3 and used them all. On the days when we got wet I needed them at camp to warm up my wet feet. I used 1 pair for the summit night, this was the only time that I ever hiked in my wool socks. § I took 7 pairs of regular socks so that I could have a clean pair for each day. I also took a calf length pair of my wife’s nylons to wear under my wool socks for the summit night. Wearing nylons might sound odd for a guy but it’s a cold weather hiking trick that we learned in scouts and, under those circumstances, I have no problem admitting to it. § This was my first time wearing gaiters so I borrowed a pair from a friend. I am very grateful that I did. I just wish I had been quicker to put them on the first day that it started to rain. We also wore them on summit day to keep the loose scree on the summit our of our shoes. § I took 2 light backpacking sleeping bags. I was actually really worried about this decision but it worked like a dream. Together they fit inside of a stuff sack that was a little smaller than the bags the rest of the group used. On the warm nights the rest of the group complained about being too hot inside of their bags but to cold outside of them, I just used one of my lighter bags and slept comfortably. When the nights got colder I put my wife’s “lady” sized bag inside of my “mens” bag and stayed warm the whole time. In testing out this idea I found that I could semi-comfortably survive sleeping in a -15°F snowstorm in my back yard if I also put on summit gear inside of both bags (although I could barely move cause of how tight it was). § I used a small duffle dry bag. And it worked alright for me even though I had no extra room and couldn’t take a lot of convenience items (porters were grateful I’m sure). Everyone else in our group used this Patagonia bag and had a hard time staying under the 15kg weight limit. § I used my trusty backpack that has gone on several 50 mile hikes with me. Most days it seemed relatively empty except for after summiting when it was filled with all of my summit gear. § I just used a $0.97 tiny plastic one from Walmart and it worked just as good as the nicer ones that some people lugged around. § I got a 3 pack of dry bags from Walmart to separate and keep things dry. This was a good idea and only cost me a few dollars for something I had wanted anyways. · 0 – Camelback Bladders (everyone else used these but I’ve never liked them because they seem to leak more often than not, there were times when this would have been more convenient but I got by just fine without it and was one of the only people in the group who didn’t have to deal with a water leak inside of their pack). § I’m a believer. I took an empty Gatorade bottle with a large lid so that I could just kneel up while still in my sleeping bag and not have to worry about a mess. The altitude medication makes your balder work overtime so I never went a full night without having to pee at least once. I thought his was an absolute must have. § I’m not a huge fan of sunglasses so I only needed them on the summit after sunrise. § ABSOLUTELY!!! This was my first time using walking poles and was almost too prideful to try them out but don’t know how I would have done it without them. They were only $20 at Walmart and I will be taking them on all future hiking expeditions. Summit day is hard, on the way up I had altitude sickness and had to lean on them just to stay on my feet. On the way down I had to rely on them to lessen the impact on my knees and could still barely walk after the first few hours of descent. DON’T LEAVE HOME WITHOUT THESE. § Nobody in my group brought one. The ones that the company provided were just fine. § Just the typical toothbrush and toothpaste, Toilet paper was provided in the portable toilet at camp but I think that we all took a little to keep in our day packs as a just in case. § I’m not sure why they labeled this as optional, I would think that if you used prescriptions that they would be required. § I just took a small tube of SPF 30 sunscreen. § Took but never used. It’s small and light so It doesn’t hurt to have it on hand just in case you want it. § I didn’t take any. § I took a few small snacks but they fed me so much food that I never needed to eat any of them and instead ate them for diner at the hotel afterwards so that I wouldn’t have to buy any food. § Yes. My uncle also had a small solar panel that we could use to charge batteries and that was helpful to have along. § I just took a few staples. Package of mole skin and a few band-aides. Didn’t end up needing any of them. § This was a surprise to me. I had to end up getting my passport renewed because mine expired about a week short of the required 6 months. And they did check at the airport to verify that it was going to be valid for that additional 6 months from planned departure. § I was coming from America and simply showed up at the airport with a US $100 bill and that is all I needed to get a visa for the climb. § I didn’t actually get around to putting these together but agree that it is a good idea to have, thankfully I didn’t need them. § If you are coming from America you do not need this immunization.Tanzania does not have yellow fever currently so this immunization isn’t needed to keep you from contracting it, it is to keep yellow fever out of Tanzania. So, the only people who need this are those coming from countries with yellow fever so that you can prove to the border patrol that you don’t carry the fever. If you don’t know if this is required for your country or not there are sites out there that will tell you. § I only took my credit card and about $300 USD in cash in case of an emergency. I only spent about $20 of it though. Make sure to call your credit/debit card providers beforehand to inform them of the trip so that they don’t deny your purchases. Accommodations – Arranged by the tour company. When I landed in Tanzania (JRO) I was greeted by two employees from Fair Travel Tanzania. I was the only passenger in their van since the rest of my family had either already arrived or were still on their way. It was about a half hour drive to the Stella Maris hotel where they had arranged a complimentary night stay before we started our hike. “A non-profit hotel on Kilimanjaro dedicated to funding the Stella Maris School for orphaned and vulnerable children. The Stella Maris is a new 25-room lodge conveniently located on the main road from Kilimanjaro International Airport just before reaching the climbing and safari capital of Moshi. Just 25 minutes from the airport, the Stella Maris is situated in the peaceful village of Mailisita, on the outskirts of Moshi itself. All rooms are ensuite with private balcony views of Kilimanjaro, air-conditioning and satellite-TVs. Guests enjoy access to PCs and free Internet WiFi service throughout the lobby and dining areas. Meals were served in a large dining room downstairs, lunch and dinner were about $5-$10 USD per meal and you could pay with USD as well. Breakfast was a buffet style breakfast filled with fresh fruits and traditional American style breakfast items. After the climb they greeted us back at the Stella Maris with a cold pitcher of mango juice while our gear was unloaded. I was the only person from our group that wasn’t departing that day so I was once again given a private room with a balcony that offered a great view of the mountain. When I checked out I was expecting to pay the $60 UDS room charge but was pleasantly surprised when I was told that they didn’t show any outstanding balance for my room. So both nights that I stayed there ended up being free. On the mountain our accommodations consisted of 2-man tents and sleeping pads that the porters would set up, take down, and transport. Since I was the odd man out in our group I was given my own tent which made it much more comfortable since you need to store all of your gear inside of your tent as well. Medications – Please consult your doctor! Please remember, I AM NOT A DOCTOR, please seek medical advice before getting any medication, I am simply telling you what I was instructed to take. · Diamox (22 Count) – This is used to help prevent you from getting altitude sicknesses. I began taking it a few days before the climb to allow my body to adjust to it. I noticed a few side effects but would plan on using it again if I were to re-climb Kilimanjaro. I took one pill every 12 hours until the night of the climb. § I had to pee every few hours. I felt like my bladder was the size of a newborn’s. § Tingles in my heels when I would wake up and in my hands when they were cold and I washed them in warm water. § Bloody noses. During the trip I would often wake up with minor bloody noses that would quickly go away but after getting off of the mountain and back to the hotel I had several bloody noses that were very difficult to stop. · Dexamethasone (12 Count) – This is used to treat altitude sickness after you get it. Once you begin taking it you have to take one every few hours until you get back down from high elevation. Nobody in my group needed to use this even though we all had it with us just in case. · Ambien (8 Count) – I didn’t think that I noticed an effect from these that much, thankfully they were just $1.31. most of us took them to help make sure that we were able to sleep on the mountain. Maybe it was because we always had a full stomach right before bed when we would take them so our bodies metabolized them too quickly to get much of an effect but none of us seemed to think they helped us sleep that well. I was usually wide awake by mid-night and trying to fall back to sleep the rest of the night. · Malarone (12 Count) – This wasn’t actually the cheapest option for malaria prevention. Doxycycline was a little cheaper but much more annoying to take and has more side effects. When I lived in Zimbabwe for 2 years I was given Doxycycline to use but hated the side effects so much that I only took them for the first month. 12 pills of Malarone were the absolute minimum that I could get by with for this trip. There aren’t actually malaria carrying mosquitoes on most of Kilimanjaro itself because of the altitude but there is a chance of contracting malaria either before or after the climb. So if you are good at using bug spray and don’t plan on doing anything other than climbing the mountain them leaving the country you probably don’t even need to worry about this. Anit-diarrhoeal Pills – I didn’t need this (thank goodness) but for just $1.88 it was a good investment to make in case I had needed it.